Whether you've got a performance car or a reliable runner, making sure that the engine is kept in peak condition for as long as possible is always a priority. Many factory-fitted grilles don't have a sufficiently strong mesh to protect from small stones, particularly when they are thrown up at speed. In addition, the mesh may not be narrow enough, allowing smaller pieces of grit and similar debris to penetrate freely. As well as the need to ensure that your motor is kept safe from chips and dents, the appearance of your car’s front end is also important: an after-factory grille not only offers exceptional performance, it also looks sleek and strong, transforming the look of your vehicle. What Sort Of Grilles Are Out There? Grilles are normally produced in either aluminium or stainless steel. Lightweight and easily shaped to fit the dimensions of the car, the downside of aluminium is that it doesn't have the strength of stainless steel. For the toughest grille out there, it's usually worth paying a bit more and opting for a Zunsport stainless steel grille. Grilles for SUVs can be finished with a black nylon coating or a sleek silver if the grille is to be a feature. 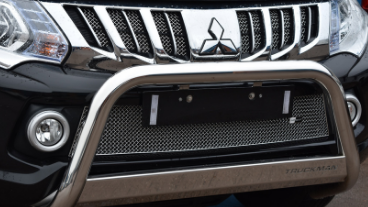 Whether you want a standard grille or are looking for grilles for SUVs or other vehicles, it's important to find a company you can trust to get the work done properly. Ideally, look for a business that's well-established, with a reputation for creating high-grade solutions. It's often best to try and find a manufacturer that specialises in grille production: they will have the necessary expertise to create the look and performance you want for your car. Give Your Vehicle A Whole New Lease Of Life! Grilles for SUVs can radically alter the appearance of your vehicle. Not only does this ensure you stand out from the crowd for all the right reasons, it's also a chance to stamp your individuality on your motor, ensuring it has a unique look. Here at Zunsport, we offer a wide range of grilles, and we have a skilled team on hand to help you find the best grille for your SUV. Get in touch to find out more.